Love story as Casablanca, but in the Cold War, Eagles Over Berlin is taking place during the blockade of Berlin. In 1945, the Americans arrived as enemies in Berlin, but three years later, they became the hope of two and half million Berliners by stopping the Soviet expansionism with the implementation of a large scale airlift. 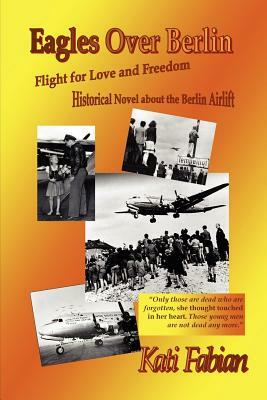 In war-torn Germany, John - American pilot and Esther - holocaust survivor meet and fall in love in the turmoil of history. From the Oval Office, to Stalin's study, through plane crashes in Soviet territory we follow the events of the airlift. Soviet spies and secret negotiations lead to the lifting of the blockade, but the victory tragically separates John and Esther. By a twist of destiny, they will meet again forty years later, in 1989. When the Berlin Wall comes down, they will understand the purpose of their lives.